Trotec Laser Online Magazine: Thank You for Attending ARA 2012! Thank You for Attending ARA 2012! Thank you to everyone who visited us at ARA! 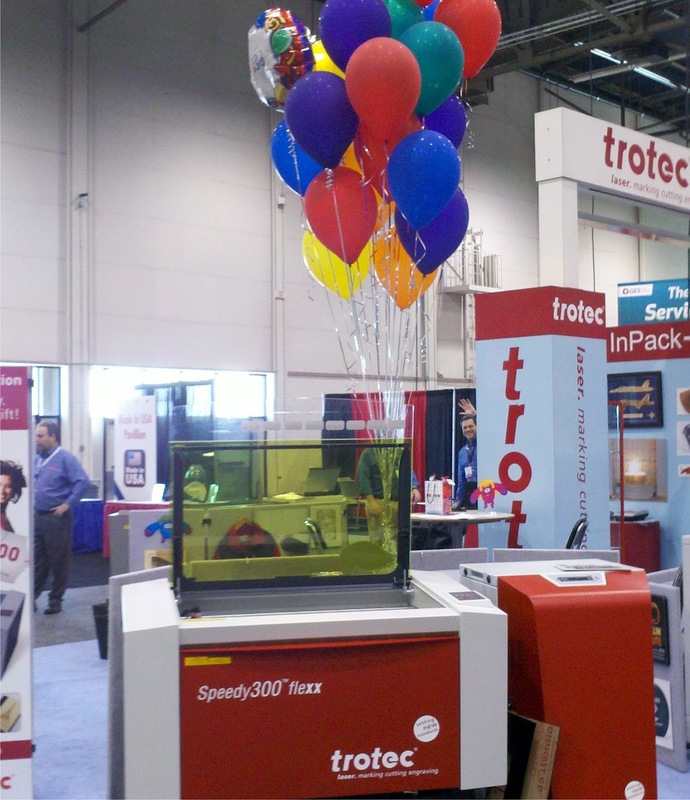 All of us at Trotec Laser, Inc. were thrilled with the turn-out and enthusiastic reaction to our newest machine, the Rayjet 300! As always, having the opportunity to meet everyone and learn about your needs is an asset to our organization, for it is you, our customers, who drive us to develop new technology to better meet your needs. A quick show recap: We displayed our tried and true Speedy 300 Laser System... Featuring both the unique capabilities of the i-Cut vision system and Flexx upgrades. 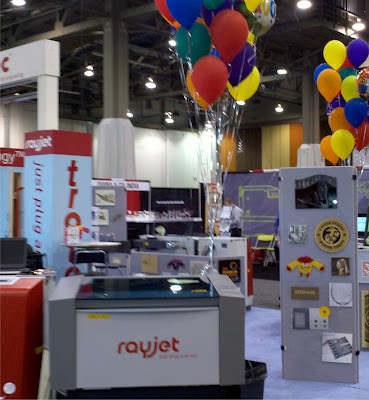 But most the exciting happenings in our booth was the introduction to the Rayjet 300! This little beauty has made the 29" x 17" working area with 80W of power more affordable than ever! If you couldn't make a laser selection at the show, your local sales representative will be in contact with you shortly to assist you in finding the perfect laser for your application and budget! For those of you who were unable to attend the show, we some amazing shows planned for 2012! 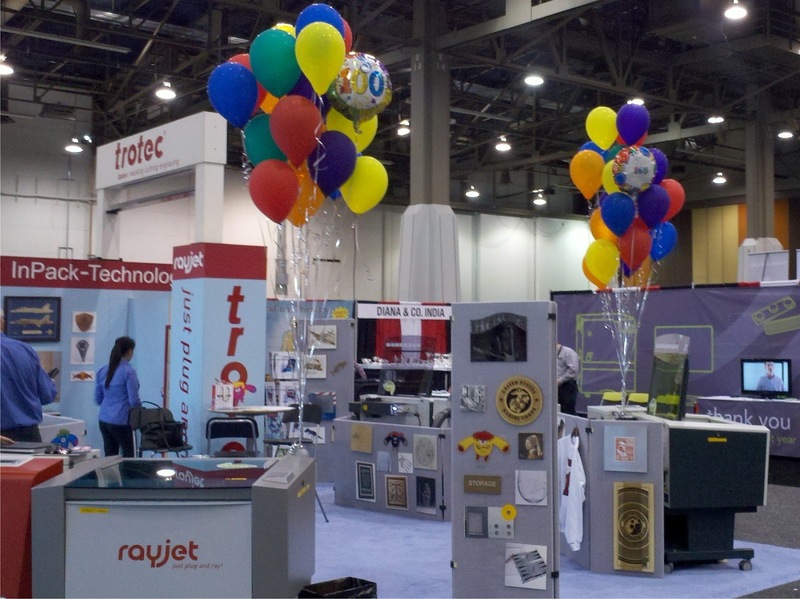 For our full trade show schedule, please visit our website at http://bit.ly/TroShow! What are your thoughts? What was your favorite thing at ARA 2012? What did you think about the Rayjet 300? Who was your favorite Trotec Representative? Please leave your responses in the comment box below!